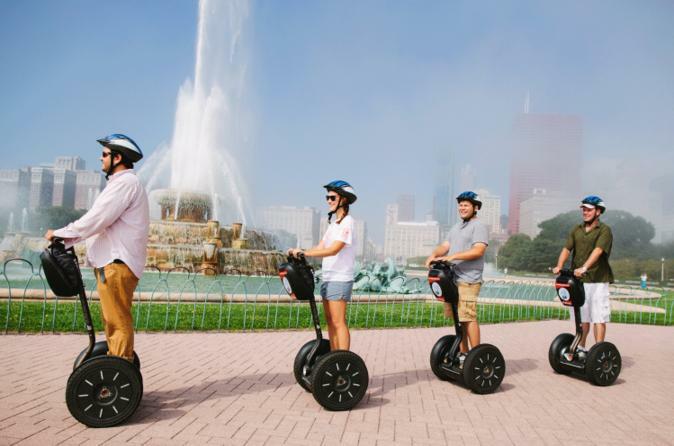 Experience Chicago in two great ways - by segway and its best vantage point. This combo ticket allows you to experience a Chicago Segway tour and also gain entry to Skydeck, the observation deck at Willis Tower. Skydeck tickets are valid for 6 months from the purchase date listed on your voucher, and you are not required to visit at a specific time. Our 2-hour Chicago Segway Tour is perfect for both those new to the city and Chicago veterans. For the beginners, this Segway tour will offer you a fantastic orientation and give you an opportunity to see virtually all of the sites you know from movies, postcards and history. For the veterans, we're positive you'll learn new facts and stories about Chicago that you've never heard. And we're sure you'll both agree that a Segway tour is the best way to see the "Windy City!"